INDIANAPOLIS – My first reaction when someone started to brag about the Indianapolis Cultural Trail was, “I’m not that much of an art museum and symphony kind of guy.” Then I heard the word “bicycle.” That changed everything. It turns out that the Indianapolis Cultural Trail isn’t a highbrow exercise in art and music, although there’s some really cool public art along the way and definitely places to stop for music. Instead, it’s an exercise in exercise. 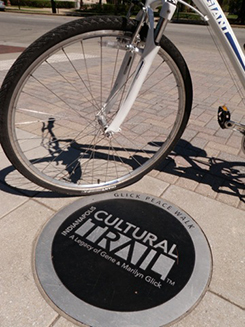 The trail is an urban bike and pedestrian path that connects neighborhoods, cultural districts and entertainment attractions. It’s also a hub for a huge greenway system that spreads deep into central Indiana. It winds for eight miles through Fountain Square, Massachusetts Avenue, Indiana Avenue, the Wholesale District and the Canal and White River State Park. 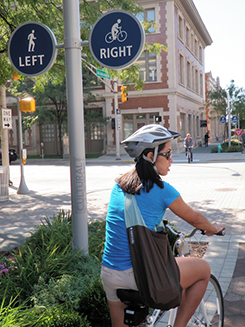 City planners from all over the country come to see how Indianapolis accomplished the feat of overlaying safe bicycle routes in an automobile-oriented metropolis. The idea was big - as in $63 million big. Almost half of that was private money. Trail concepts started percolating in 2001, but it was 2007 before the first half-mile opened and 2012 before bikers and walkers could traverse the full eight miles. As odd as it sounds, one reason the idea worked is that flat, monument-loving Indianapolis had excess traffic lanes in parts of downtown. That meant devoting existing asphalt to bicyclists wasn’t seen as totally crazy. Residents, of course, are the primary beneficiaries of an amenity as grand as the Indianapolis Cultural Trail because it literally unites their city on a new level. Cyclists check out bikes at one of 29 stations of the Indiana Pacers Bikeshare program. Image by VisitIndy. People walk and bike the trail and find places such as a community-oriented used-book store called Indy Reads Books, the Best Chocolate in Town and the USS Indianapolis National Memorial. Among many refreshment stops are Rook (an Asian restaurant inspired by street food from throughout Asia) and Tappers Arcade Bar (an establishment that offers regional craft beers, free video arcade games and cheap pinball). Among the treasures along the trail is the Glick Peace Walk. It’s a collection of 12 luminary gardens that honor individuals who achieved greatness through peaceful pursuits. Among them are Susan B. Anthony, Thomas Edison, Jonas Salk and Booker T. Washington. 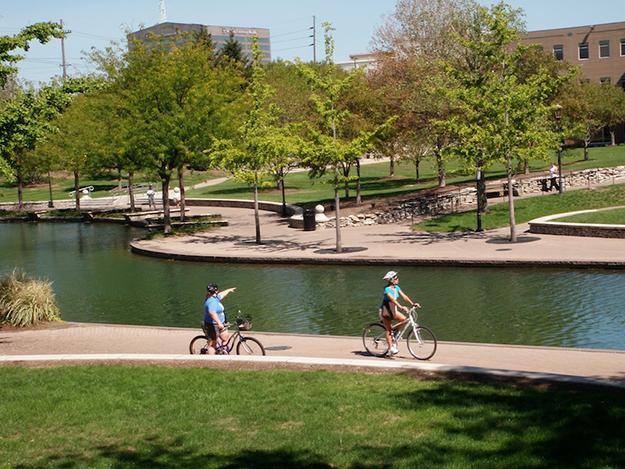 As much at the Indianapolis Cultural Trail is great for residents, it’s a treat for visitors, too, especially since bike rentals are easy and convenient. 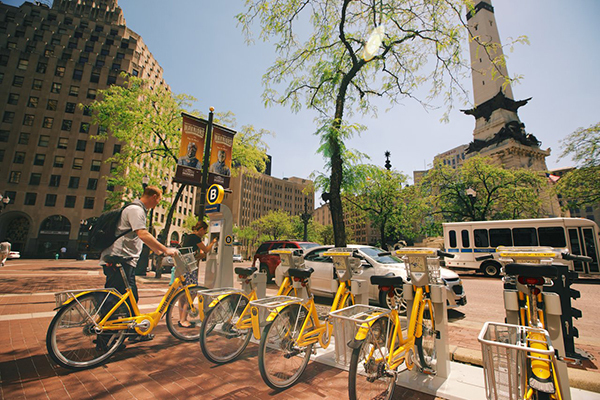 The trail itself has a bicycle program called Indiana Pacers Bikeshare (29 stations with gold-colored bikes), and there are other rental choices, such as Wheel Fun Rentals at White River State Park. You can explore on your own or book a tour with Active Indy Tours. Its menu offers walking tours, running tours and bike tours – all of which put you in the right humor for a celebratory beer at the Tomlinson Tap Room inside the Indianapolis City Market. A tall, frosty beer is a perfect finish to a cultural experience along the Indianapolis Cultural Trail.